The present church of St Michael and All Angels is the third to be built on the site. In 1627 the first chapel for Headingley, within the ancient parish of Leeds, was licensed for worship. Holding 200 persons, it served a population of a similar size for about 210 years. By 1836 the population of Headingley had exceeded 2000, necessity the construction of a new church. 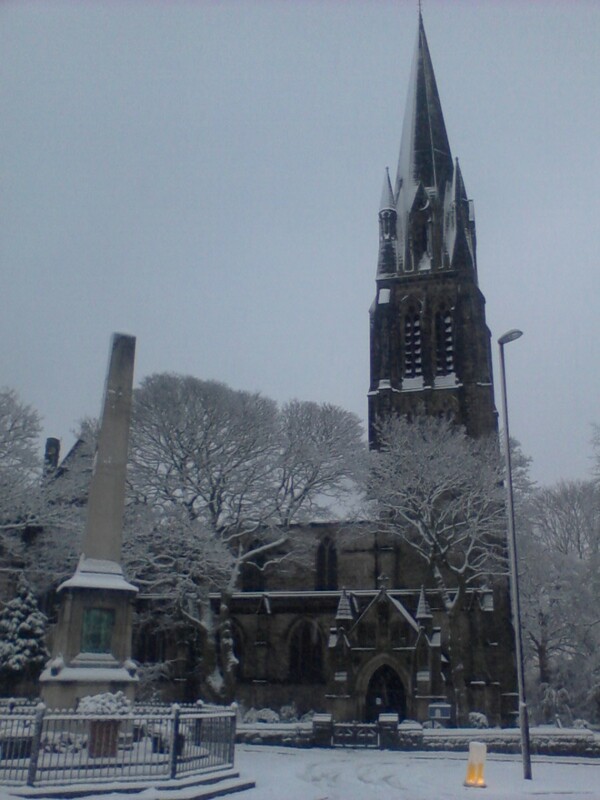 The second church was consecrated in 1838 and eleven years later, in 1849, it became the first church of the newly established parish of Headingley. Despite the creation of the new parishes of Far Headingley, Wrangthorn and Burley out of Headingley, a larger church was again needed. The current building was consecrated in 1886 by the Bishop of Ripon and serves a parish stretching from Victoria Road and Cumberland Road in the south, Shaw Lane in the north and Queenswood Drive in the west, with an estimated population of 14,000. St Michael's is in a team ministry with St. Chads of Far Headingley, Otley Rd., LS16 which involves sharing in worship, ministry and fellowship. Revd. Tony Whatmough - Team Rector of the Headingley Team.